Miss Abigail Wendover's efforts to detach her spirited niece Fanny from a plausible fortune-hunter are complicated by the arrival in Bath of Miles Caverleigh. The black sheep of his family, a cynical, outrageous care-for-naught with a scandalous past - that would be a connection more shocking even than Fanny's unwise liaison with his nephew! 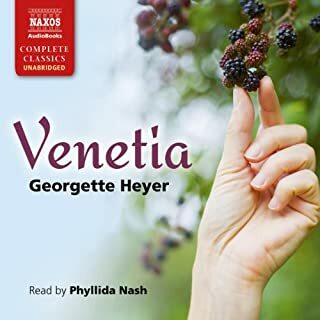 ©1966 Georgette Heyer (P)2014 Audible, Inc. I don’t remember Abigail Wendover being quite so Prosy when I read the book. Perhaps it was the narrator who was so grating I gave up a 1/4 of the way through. She made all the characters sound like they were in their dotage except for Fanny. 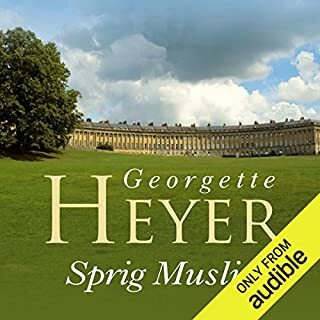 Yes, Barbara Leigh Hunt has rekindled my appreciation of readers of Georgette Heyer's books. Thank you! A likable heroine and hero and amusing supporting cast. Well narrated, delivered and written. Recommended! 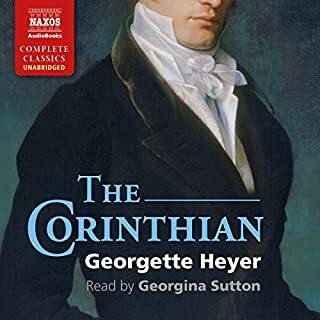 A charming novel and one of my favourites among Ms Heyer's romances. 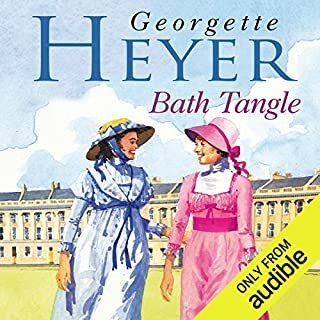 The characters are engaging and likeable, the narration is especially good (Ms Leigh-Hunt has a knack for conveying smothered laughter which is perfect for Abby in particular), and I would certainly recommend it. Two points in particular make this book memorable. Firstly, the primary romance is conducted not between a blushing teenaged heroine and handsome young hero, but between a woman of nearly thirty and a man in his forties. (As an older reader myself, I like to see a woman closer to my own age occasionally!) And secondly, as almost never happens in period romance, the hero is very respectful of the heroine's agency. While he has no respect for scruples based purely on convention, he outright states on more than one occasion that if she doesn't personally *like* his attentions, she need only say so. So rare, and so very delightful to read. 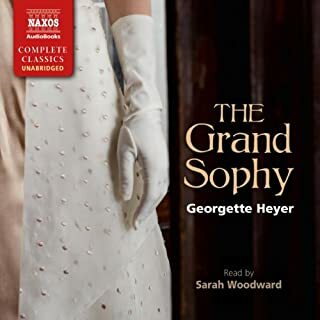 A most entertaining and enjoyable book, beautifully narrated by a most distinguished actress who brought each different character to life so well. It was easy to imagine the various scenes, laugh at the idiosyncrasies of the Regency fops and the rigid rules of society. Typical Heyer humour perfectly expressed. 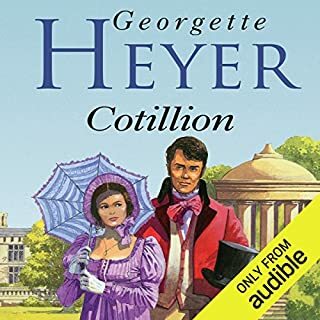 This was an EXCELLENT audio version, the narrator caught the nuances so well, and read the humour in the exchanges (so you can hear the smile or the supressed chuckle). 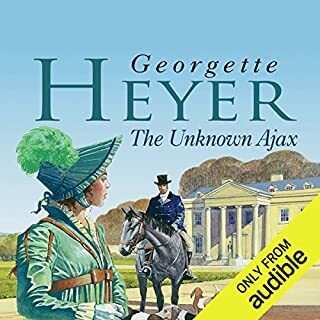 One of my favourite Heyer books, but this is by far my favourite narration of any of her books that I had heard. Barbara Leigh-Hunt make Black Sheep a Delight! Have no qualms! Barbara Leigh-Hunt, that marvelous actress, is a superlative interpreter of this story. She captures every nuance of the sparkling dialogue and makes the 9+ hours fly by! She is a natural for this genre and I hope she has more recordings. I shall certainly keep out a sharp eye for her narrations. 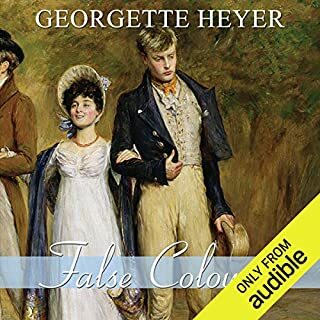 A typical; "fun read' by Georgette Heyer. For an easy, "no worries" reading experience she is hard to go past... She churned out Regency romances which she personally deprecated and which thousands of people all over the world looked forward to seeing available each year.. This one grows on you.... The heroine is more mature but there is a lot of enjoyable repartee between her and the older hero. I really enjoyed listening to this book in the Audible version more than I enjoyed the written word. The narrator is excellent. Highly recommended to all die hard GH fans. 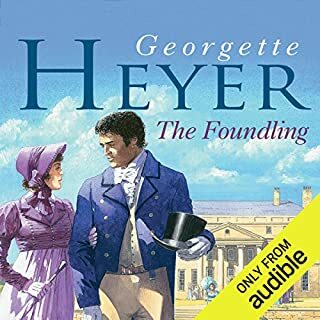 All Heyer books are good but Black Sheep falls in a certain group I think are excellent (along with Grand Sophy, Bath Tangle, Frederica and others). Black Sheep is a little different in that the love comes earlier - the difficulty is how it will work out. The ending is a little surprising and very enjoyable. 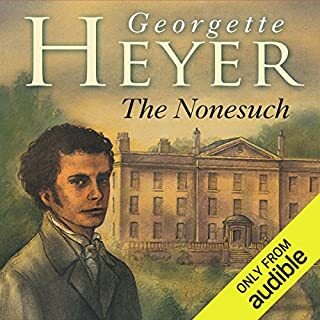 I've been excited to rediscover my favorite Heyers on Audible. They are like comfort food and hearing them on audio really enhances the experience. This is one of my favorites, featuring an older heroine and hero. Miles in particular is a Heyer gem, intelligent, caring little for convention, funny. I enjoy her pairings of intelligent couples who come together in part for their shared sense of the absurd and their laughter about the world around them. This was a good narrator, and the narration always helps this American listener with some of the pronunciations. I would recommend this even to someone who has read it in print in the past. What did you love best about Black Sheep? 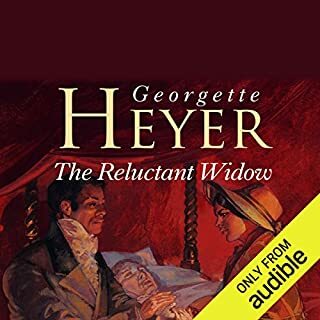 I loved the characters and witty dialogue created by Georgette Heyer. Barbara Leigh-Hunt can deliver the lines and put you in the scene. As a narrator, she gives emotion to the words on the page and creates the scenes in your mind. As a reader, she is not performing a dramatization of the role of Abby but, rather, is telling the story. If you close your eyes and allow yourself to be immersed, you can "see" the characters and "hear" their voices while Leigh-Hunt reads. Wonderful! What other book might you compare Black Sheep to and why? 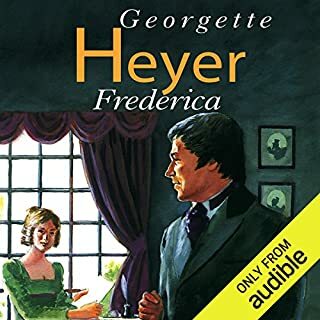 I loved Georgette Heyer more than 45 years ago and I've enjoyed reading them again after all these years. She introduced me to Regency England and I began reading more about English History afterwards. I was struck by the similarity between Black Sheep and Venetia. Both involve young men who made youthful indiscretions and the men the became in later life. The heroines who love them are similar in that they are strong women who can love despite their families' disapproval. What does Barbara Leigh-Hunt bring to the story that you wouldn’t experience if you just read the book? I thought she had a special way of speaking life into the characters thanks to her experience on stage and in films. Her voice has a wonderful range, not just in emotion but in pitch and timbre. If you could rename Black Sheep, what would you call it? I can't imagine a better title than Black Sheep. With all the attached connotations, it's perfect! 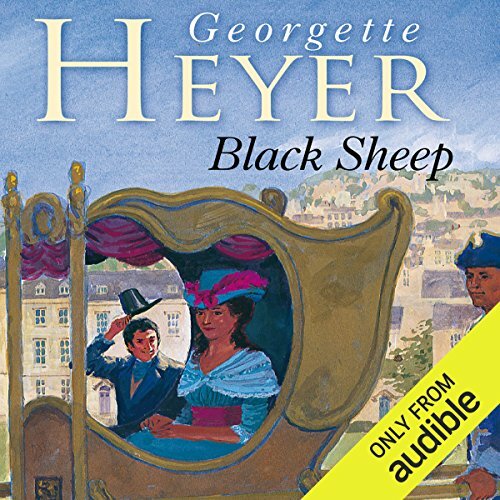 If you like to lose yourself in stories and wonderful storytelling, I recommend Georgette Heyer's Black Sheep being read by Barbara Leigh-Hunt. Absolutely - this is one of my favourite stories. What about Barbara Leigh-Hunt’s performance did you like? Yes, and I very nearly did! If you could sum up Black Sheep in three words, what would they be? Miles Calverley is a stand-out. He's the epitome of the black sheep, and incredibly sympathetic. Every scene he's in is a highlight, which is saying something, given the lovely story he features in. Her dramatisation. She doesn't really do voices to any great degree, but she nails the intonation, mood, and timing, and suits the period so well, as anyone who has seen her as Lady Catherine De Berg in the BBC miniseries adaptation of Pride and Prejudice will agree with. She delineates voices enough to make dialogue easy to follow, and she brings the book to life beautifully. When I read the book a while after listening to this I found myself hearing the words as Barbara reads them, and was pleased. Moved? Hmm, spoilers. I'll leave this alone. A great book, read by a great actress, fitting to the subject matter and vibe. Worth getting. 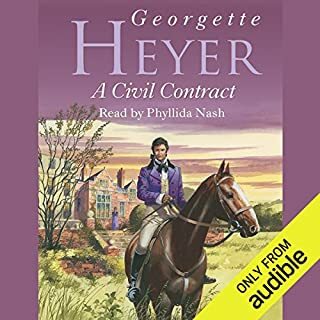 We've listened to every one of Georgette Heyer's audio books and loved them all. We loved all the narrators, each which her/his own flavour (Eve Matheson being the chosen favourite) but this is first time we felt the novel has lost a lot because of the choice of ther narrator(Barbara Leigh Hunt). 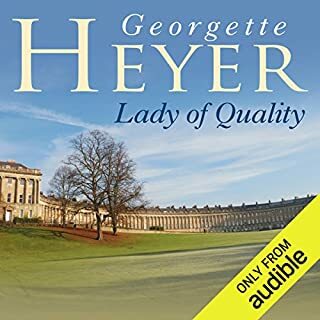 Her naturally mature, very polished and highly trained voice, misses out on Heyer's subtle social humour, reducing some characters to unconvincing caricatures. There's also a very marked tongue-tripping which makes for a slightly uncomfortable listening. Even so, I would recommend this as one of Heyer's more engaging novels. I loved this book - one of her best. It really lifted my mood as it's witty, observant and very entertaining! Some previous reviewers have said that they though that the narrator stumbled a bit, and that her voice was too mature to make the younger characters believable. I didn't find this the case at all and will look out other books she's done as I thought she interpreted the this one beautifully. It is true, as other reviewers have said, that Barbara Leigh-Hunt does trip occasionally in her reading. That did not mar the overall effect for me because what she does bring is the delightful gurgle of laughter that is characteristic of Abigail. Her reading brings out the charm of the character, which is what so entrances Miles. She has some nicely comic touches, excelling as Selina. She also manages something which not all female narrators can do and that is a very convincing male voice. 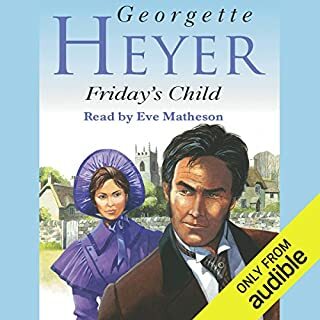 This is still one of my favourite Heyer listens, even though Eve Matheson's narrations are also excellent. 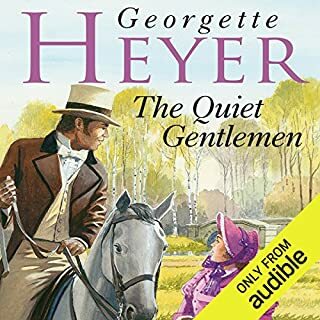 This is a lovely humerous book by Georgette Heyer. The main characters have such a chemistry between them which really comes alive. I think Barbara Leigh-Hunt is a fantastic actress, however sometimes I found it hard to differentiate between the characters voices as her voice is a mature one and I felt she wasnt able to capture the youth of the younger characters. 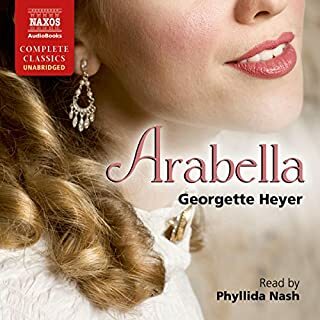 She sounded fine reading as the older ladies but as the younger Abigail Wendover I felt she didnt do the character justice, she made her sound quite old! 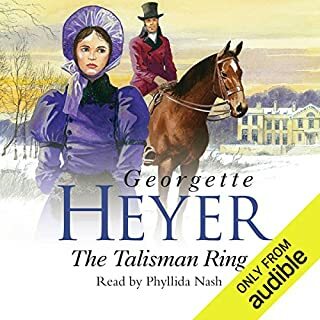 However, I still enjoyed listening to this as I have all Georgette Heyer audio books. Excellent narration of this novel. Barbara Leigh-Hunt easily injects and intones the humour, irony and wit that Ms Heyer intended in this novel. This is a particularly engaging story and quite 'grown up' with the heroine being more mature than some of the other novels. A nice escape from current day language and all its innuendo to a more eloquent and gentile époque. Heartily recommended. Such a nice humerous story, very well read. A pleasure to listen to. loved it! As I have enjoyed many of Georgetown Heyer's books, I found the theme of this book rather routine. However the narrator was excellent and the conversations between the characters were entertaining. I will listen to this book again in a few weeks. I felt that the narration was too dour and astringent to do justice to the charm of the story and in particular the heroine.More battle-axe than witty. Which character – as performed by Barbara Leigh-Hunt – was your favourite? One of those recordings you don't want to end! A wonderful story, somewhere between Lady of Quality and Venetia. And the narrator is terrific, can't work out what some of the reviews object to.